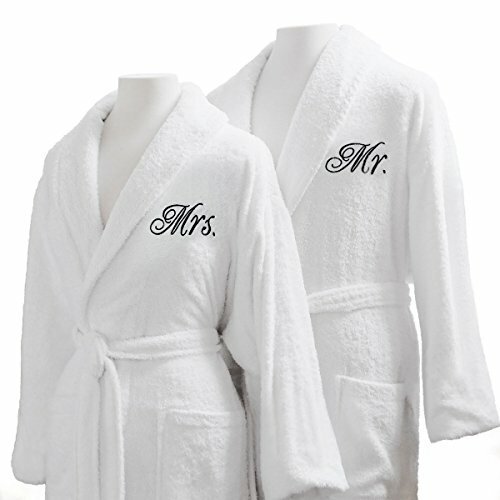 THE PERFECT GIFT: Our robe set makes the perfect Mother's/ Father's Day gift or the perfect gift for an upcoming engagement party, wedding, or bridal shower. Stand out from the rest and give a special keepsake that any couple can enjoy daily. Choose our gift packaging option and the set will come beautifully packaged in either our signature gift box with matching ribbon or our signature gift bag with handles, making your gift shopping easy!